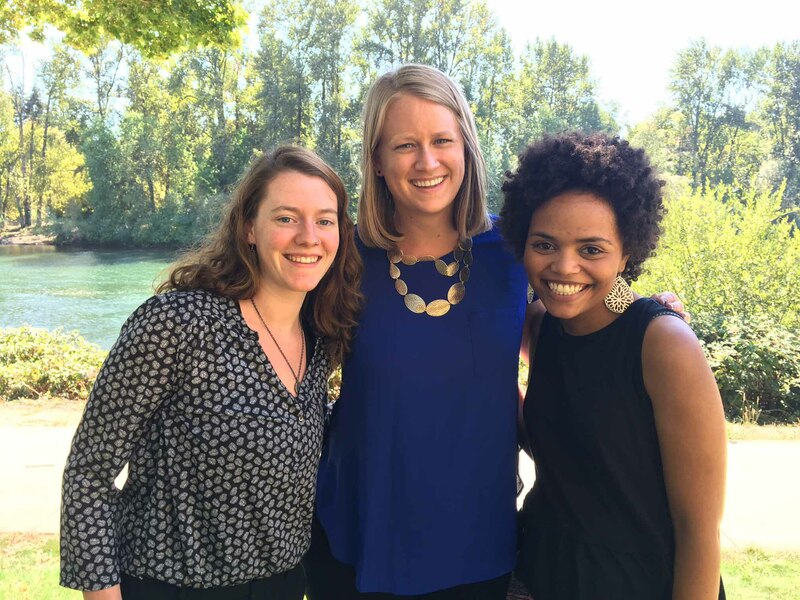 The Ford Family Foundation Scholarship Office in Eugene gained three new employees and a new office in recent months. “We are really excited about our new space, particularly how we are able to better accommodate our staff and guests,” said Bonnie Williams, the manager of scholar and alumni engagement. They outgrew their East Broadway location that they had worked in for 10 years, specifically with the addition of new positions, including manager of scholar and alumni engagement and an administrative assistant for information support. They were also in need of more space to host board meetings, support selection season, and to collaborate with partners. The official move to the Club Road office took place mid-August with a lot of preparation in the weeks leading up to the move. The new location features a beautiful design and aesthetic, Williams said. It has more conference rooms – four in total with a large conference space that divides in two – as well as a larger kitchen and waiting area, an employee break room, a collaboration space, designated work study areas, extra offices, and last but not least – beautiful views of the river and access to the riverfront bike path. Three new employees joined the scholarship office in the last few months. Anna Guenther, Sarah Boam and Natawsha Mitchell make up the administrative team. Each of them has assigned scholarship staff they assist and work closely with on various tasks that need to be completed. “They are known as the Dream Team, ensuring the office is running smoothly,” Williams said. Guenther took Anna Harrington’s position after Harrington left to begin a master of art’s in teaching program at University of Portland. Guenther, who began Aug. 1, is the receptionist and first person visitors see when they enter the scholarship office. A recent graduate of University of Oregon, she brings administrative experience and an enthusiasm for the Foundation’s mission to her work, Williams said. Outside of work, Guenther likes to practice yoga and go on outdoor adventures. Mitchell joined the scholarship office in March and fills the newly created position of administrative assistant for information support. She is knowledgeable about utilizing technology and data to support processes and programs. A Wyoming native, Mitchell is passionate about social justice, equity, and serving rural communities. She will graduate from the University of Wyoming after completing online coursework this winter. Boam also started in March, replacing Class of 2007 Ford Scholar Shauna Harper, who left at the end of January 2016 to take a position as a financial aid counselor at the University of Oregon. As an administrative associate, Boam is the direct liaison between the scholarship office, Roseburg office, Foundation Board members and other outside vendors. She assists Director of Postsecondary Success Denise Callahan and other scholarship staff with scheduling, managing expenses and continuing program strategy. She loves biking, being outside, and spending time with her nephew. She is a graduate of Oregon State University. More changes are set to happen within the scholarship office when Dianne Olson, the events and selection coordinator for the past 15 years, retires at the end of December. The office is currently searching for her replacement and hopes to make an announcement soon.